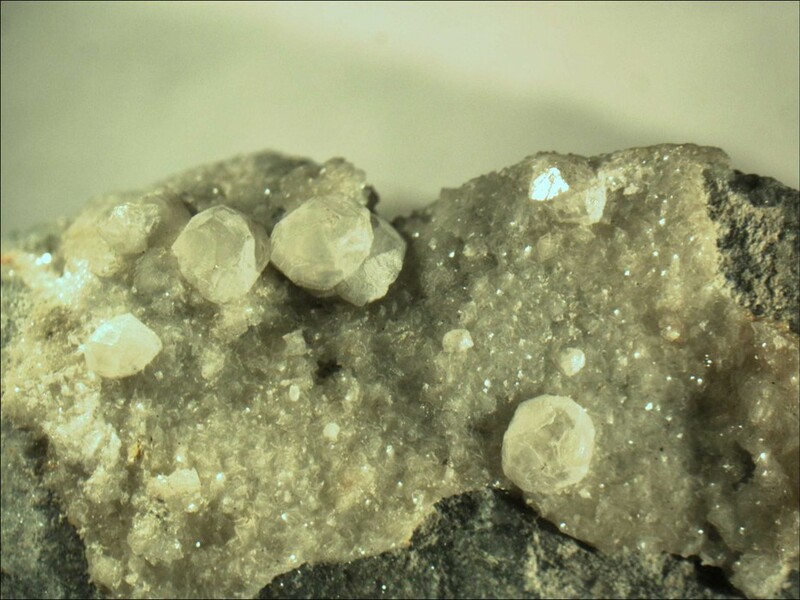 Ammonioleucite: Mineral information, data and localities. For the chemical composition and the relationship with leucite. As minute aggregates replacing analcime crystals. National Science Museum, Tokyo, Japan; National Museum of Natural History, Washington, D.C., USA, 165991. In veinlets, fractures, and cavities in hydrothermally altered crystalline schist, as powdery pseudomorphous replacements of analcime crystals. 16.5.6 Ajoite (K,Na)Cu7AlSi9O24(OH)6 · 3H2O Tric. 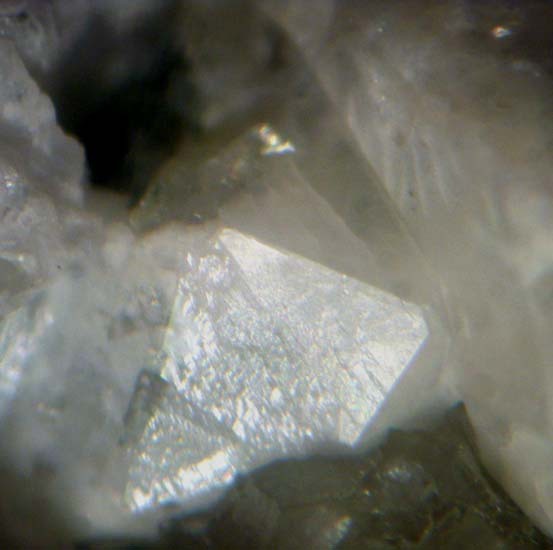 Hori, H., Nagashima, K., Yamada, M., Miyawaki, R., Marubashi, T. (1986) Ammonioleucite, a new mineral from Tatarazawa, Fujioka, Japan. American Mineralogist: 71: 1022-1027. Yamada, M., Miyawaki, R., Nakai, I., Izumi, F., Nagashima, K. (1998) A Rietveld analysis of the crystal structure of ammonioleucite. Mineralogical Journal: 20: 105-112. American Mineralogist (1986): 71, 1022-1027.
ⓘ Dębieńsko Mine heap ?